Our award winning Fly Creek tents have been redesigned with steep wall architecture, a vertical door, and now mtnGLO? Tent Light Technology. These features create more liveable space with the convenience of built-in LED lights so you can be more comfortable in the backcountry. 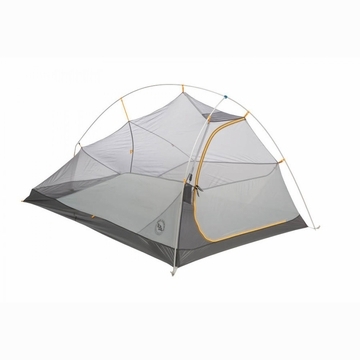 All of the weatherproof and technical features of a three-season tent and with ultralight materials make these the shelter of choice when you need to pack light. Trail weight refers to poles, fly, and tent body. 18"" NOTE: Due to this item's size/ weight, there will be extra fees if you select a faster shipping method than UPS Ground in which we we will contact you before shipping your item(s) with a shipping cost quote. Fly Creek HV UL mtnGLO Series from Big Agnes on Vimeo.